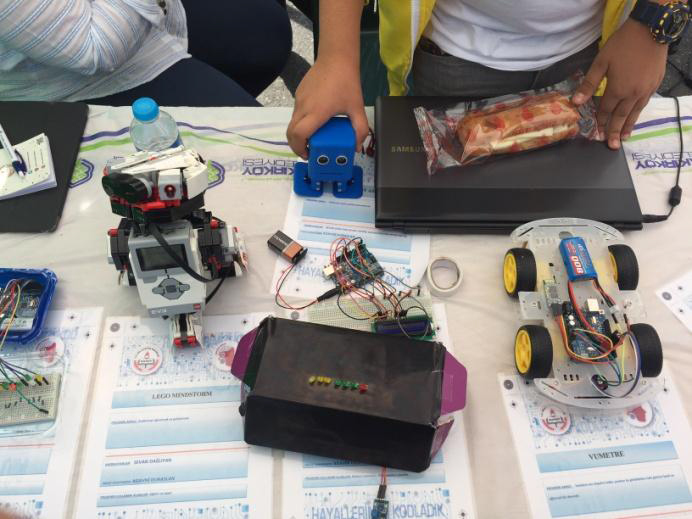 In order to follow the developing technology, we decided to do such a project to give our students the training on coding and robot programming, which is one of the most popular topics of our time. In today’s digital world, coding; Along with math and literacy It has become a basic requirement. According to the research done, one of every 3 children meets computer, smart phone, tablet, etc. before they don’t learn to speak . Encounters with the children coding, the devices they use the useful tools transforming. Coding allows children creativity. Signed really great projects. Our students are only learning to practice on tablets and phones that they use to play games. They learn that it is not difficult to practice and that they can work very useful applications. 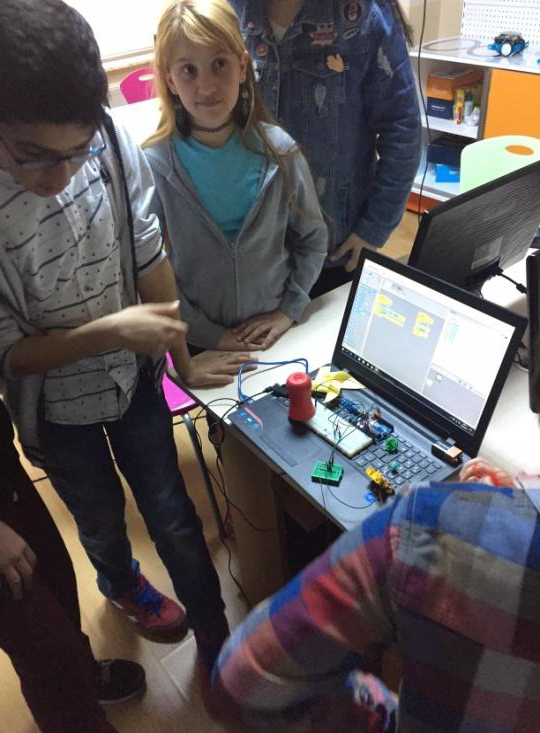 Most of our students are using technology only for communication and playing games, with this project they start to use their knowledge for creating applications and games. Our students are always continued to develop their own games and applications. They are working together with their friends and after creating an application they are sharing this application with other friends and also on the internet. By this way they making them public. In this project, our logical approach, data analysis and organization does require resolving problems by dividing them into small, manageable pieces. In other words, coding is the way to teach mathematical thinking in real life. Which project choices do you consider strategic? With this coding education,they can develop games, applications etc. that children imagine. They can develop a lot of different software according to their imagine. Most important stage is the planning algoritmas..
5. How do you arouse curiosity in the teenagers? They wants to learn other applications which created by other students. 6. What do they learn? The first step of the computer software program is coding; It means writing electronically on a computer, where it is possible to create software, applications and websites. They will learn coding. There are hundreds of coding languages. When they learn this basic information, they can make their own software, application and web site on the computer. 7. Which competences are developed and enhanced? With this project, mental thinking skills and problem solving skills will improve. 8. Which are expected results and those effectively attained? The students develop their projects to their families and friends. Coding education supports learning skills in different areas such as mathematics, literacy and science. At the end of the training, the students will observe the practices they will do and the work they will undertake during the training. 10. When things don’t work out, how do you readapt activities? They always try to find different solutions. Most of the students wants to join the project because this is like a game for them and they already motivated. So we don’t need to readapt them.